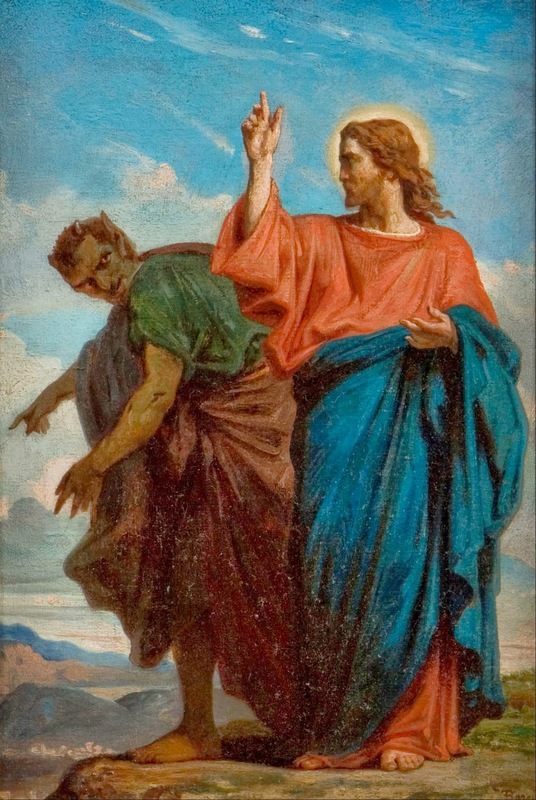 WHAT DO WE LEARN FROM THE TEMPTATIONS OF JESUS? 2.1. By allowing himself to be tempted, Jesus wanted to teach us how to fight and conquer our temptations. 2.2. By rejecting the devil’s temptations, Our Lord atones for the falls of humanity. 2.3. Victory over temptation is possible only with God’s grace obtained through prayer and sacrifice. Today’s Sunday Gospel (Mt 4:1-11) narrates to us of Jesus’ preparation for his Public ministry, spending forty days and forty nights in prayer and fasting after being led by the Spirit into the wilderness. 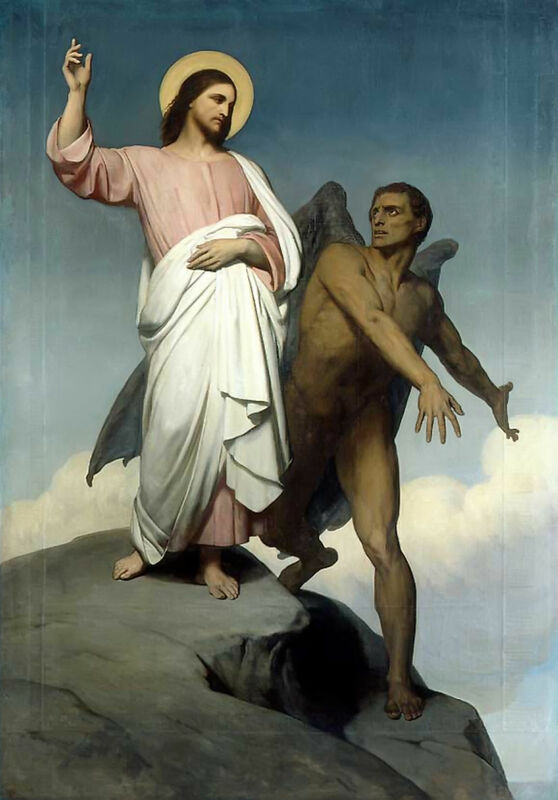 In it, Jesus was tempted by the devil using Scriptural passages. Jesus, however, did not allow himself to be carried away by those three temptations that directly affect his mission as Messiah. This event of Our Lord’s life showing his obedience to the will of God is in direct contrast with, and a redemption of the sin of disobedience of Adam and Eve in paradise after being tempted by the serpent as narrated in the 1st reading (Gn 2:7-9; 3:1–7) during which sin and death enter the world. 2. What do we learn from the Temptations of Jesus? -Compendium of the Catechism, n. 106. Jesus, our Saviour, allowed himself to be tempted because he so chose; and he did so out of love for us and to instruct us. However, since he was perfect, he could only be tempted externally. By allowing himself to be tempted, Jesus wanted to teach us how to fight and conquer our temptations. We will do this by having trust in God and prayer, with the help of God’s grace and by having fortitude. Jesus’ temptations in the desert have a deep significance in salvation history. All the most important people throughout sacred history were tempted — Adam and Eve, Abraham, Moses, and the chosen people themselves. Similarly with Jesus. By rejecting the temptations of the devil, our Lord atones for the falls of those who went before him and those who come after him. He is an example for us in all the temptations we were subsequently to have, and also for the battles between the Church and the power of the devil. Later Jesus teaches us in the Our Father to ask God to help us with his grace not to fall at the time of temptation. Before beginning his work as Messiah, that is, before promulgating the New Law or New Testament, Jesus prepares himself by prayer and fasting in the desert. The Church follows Jesus’ footsteps by prescribing the yearly Lenten fast. We should practise Lent each year with this spirit of piety. “It can be said that Christ introduced the tradition of forty days fast into the Church’s liturgical year, because he himself ‘fasted forty days and forty nights’ before beginning to teach. By this Lenten fast the Church is in a certain sense called every year to follow her Master and Lord if she wishes to preach his Gospel effectively” (John Paul II, General Audience, 28 February 1979). In the same way, Jesus’ withdrawal into the desert invites us to prepare ourselves by prayer and penance before any important decision or action. Let us put the means to be united with Christ and live in His presence as we wage our daily battles against the enemy, convinced that if we struggle with Christ, we will also triumph with Him.